Has the central heating system for your business malfunctioned? Does your air conditioner fail to cool your home? Are you experiencing a clogged toilet or drains? 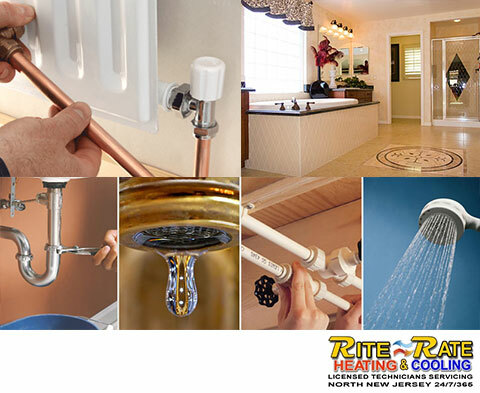 If you’re having trouble with your plumbing, heating, or air conditioning, Rite Rate is the solution. We are a fully licensed and bonded plumbing, heating and air conditioning company in Cedar Grove, NJ! We provide affordable residential and commercial plumbing, air conditioning, and heating repair, replacement, and installation. If you find you need our services in the middle of the night, on weekends or on a holiday, we’re here for 24-hour emergency repairs. When you need reliable heating repair in Cedar Grove, NJ, call Rite Rate! We recognize the importance of having efficient heating and have skilled technicians to ensure that your heating systems are always functional. From heating repair to a new heater installation, Rite Rate can be trusted to service your heating system. We can diagnose any problem and repair it in no time. You can count on us for honest and free estimates before we repair or replace your heater. The only thing that is worse than a cold room, is a hot one and that is why we are the best air conditioning company in Cedar Grove, NJ. We will install your AC units, repair them if broken, and offer routine maintenance. Call Rite Rate for residential and commercial air conditioning repair, replacement, and installations in North NJ. You’ll find we’re the most affordable air conditioning company in the area and are experienced at what we do! There’s no plumbing job too big or small for our team of plumbers. We install new toilets, showers, drains, sinks, and a variety of pipes. If you find you have clogged pipes, drains or toilets, we’ll use video cameras to inspect the pipes in order to find the clog and remove it. Should there be any broken pipes, plumbing fixtures, or sump pumps, we’ll repair those as well. 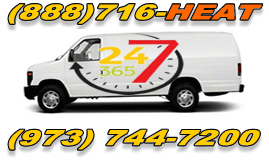 Call Rite Rate for 24/7 plumbing services in North NJ!